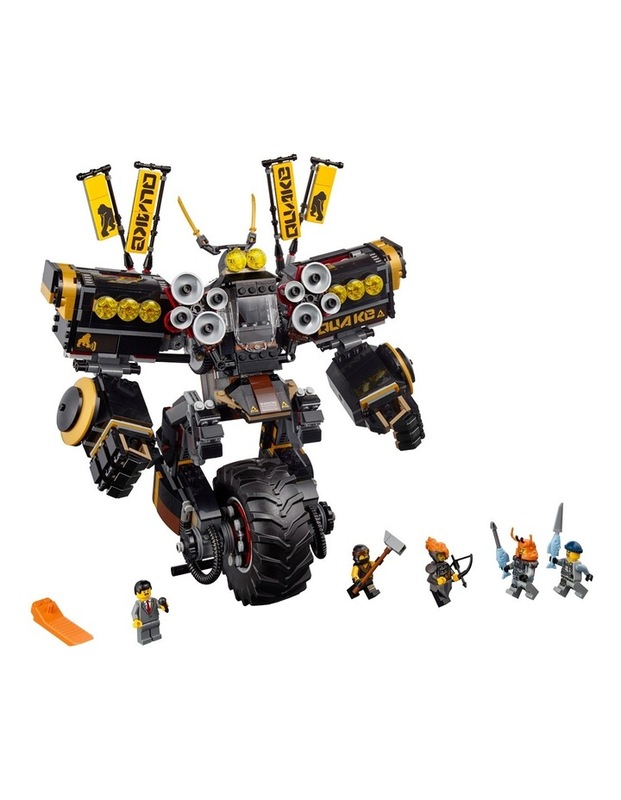 Fire soundwaves from coles quake mech to save tv reporter fred finley from the shark army, with this all-action the lego ninjago movie 70632 quake mech building set. 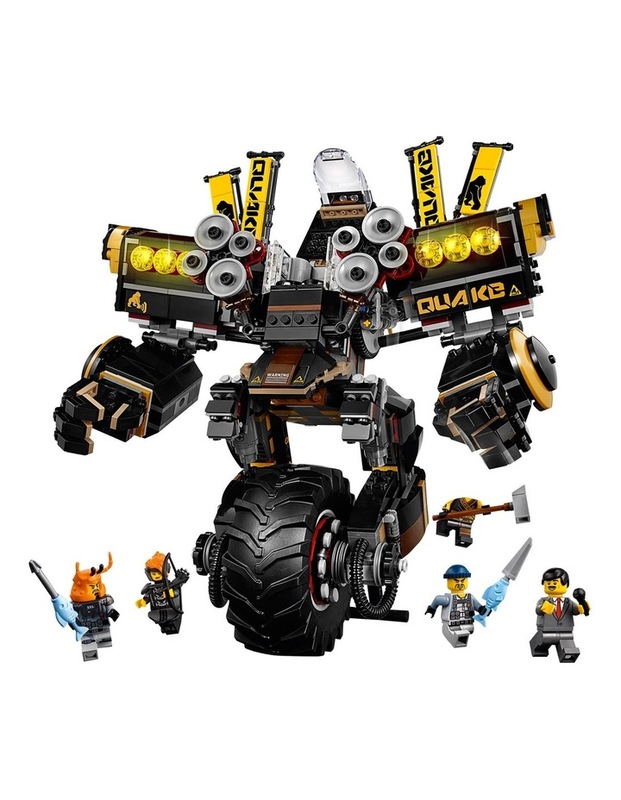 The highly posable, uni-wheel quake mech features an opening minifigure cockpit, fold-up shoulder loudspeakers' with 8 hidden soundwave'-shooting flick missiles, fully posable arms with gripping fists and a big wheel with stabilizer. 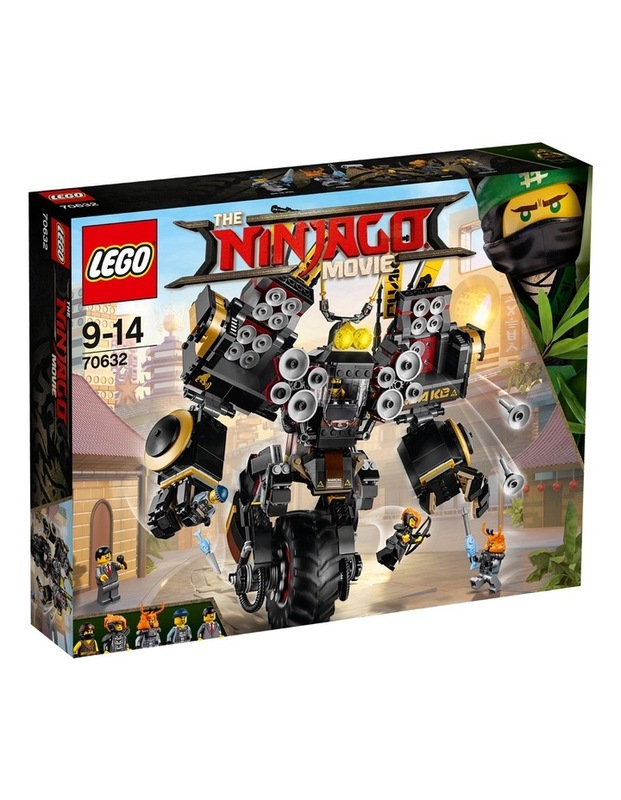 This ninja set also includes 5 minifigures with assorted weapons to intensify the role-play battles.